Versatility is one of the most desired aspects that a cricketer is expected to possess. It is a captain's dream to have a player in the team who is ready to carry out any task that is asked of him. This can vary from a bowler being asked to do a job with the bat and vice versa or a batsman playing in different positions. The history of cricket has several examples of cricketers who have been flexible enough to bat for their country at numerous batting positions. There are also some who have batted at all eleven positions whereas a few others who have occupied ten. Former Indian cricketer Ravi Shastri has always been known to be a versatile individual both on and off the field. While he played the role of an all-rounder for the Indian cricket team during his playing days, he took up commentary and also carried out the responsibility of being the team director for the national team. Shastri represented India in 80 Tests between 1981 and 1992, scoring close to 4000 runs at an average of just under 36. He was a floater in the batting line-up and batted from numbers 1 to 10 in the order. 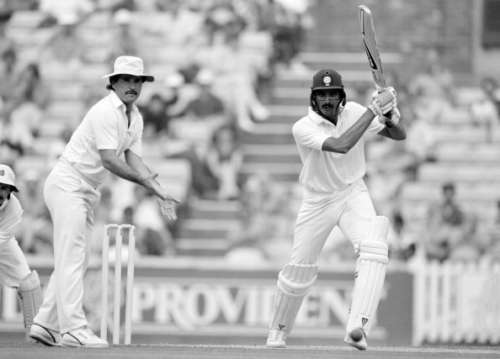 The only position that Ravi Shastri did not play in during his career was the No. 11 position. For most of his career, the all-rounder batted at the No. 6 spot but enjoyed a greater level of success at the top of the order.